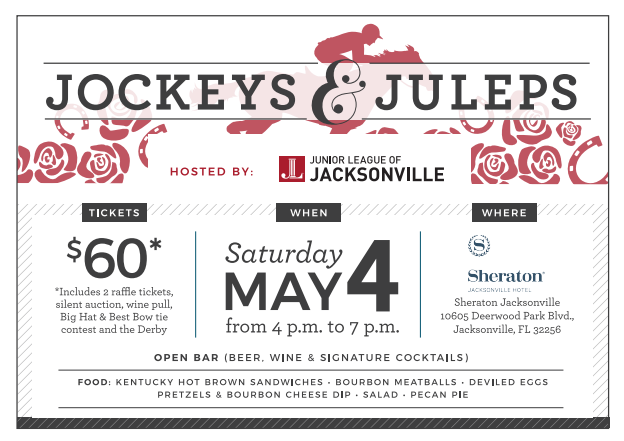 Join us for the the 4th Annual Jockeys & Juleps, held at the Sheraton Jacksonville Hotel hosted by the Junior League of Jacksonville. 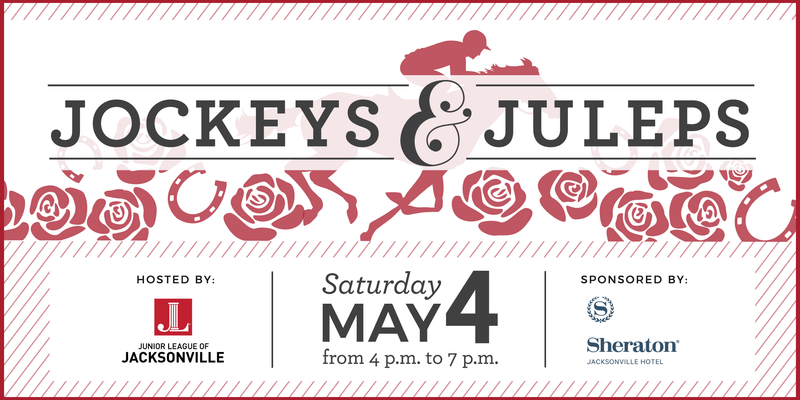 The event will be on Saturday, May 4 from 4-7 p.m.
Tickets include unlimited beer, wine and signature cocktails along with an array of Kentucky classic appetizers including: Kentucky Hot Brown Sandwiches, Bourbon Meatballs, Deviled Eggs, Pretzels and Bourbon Cheese Dip, Salad and Pecan Pie. 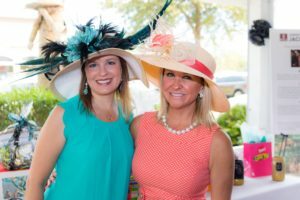 Wear your favorite Big Hat or Bow Tie to win the Big Hat & Best Bow Tie contest! 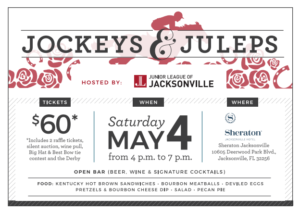 A portion of the proceeds to benefit the Junior League of Jacksonville. Tickets may be purchased by clicking here. Interested in sponsoring Jockeys & Juleps? Learn how your support makes a difference in our community by clicking here.